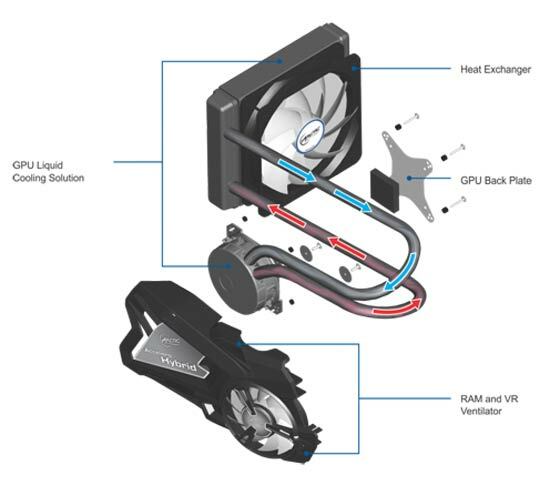 As the Hybrid moniker suggests this graphics card cooler uses a combination of air and liquid cooling techniques. To this end a quiet 120mm fan is utilised with an even quieter closed-loop water cooling system. Arctic claim the Accelero Hybrid 7970 “…offers an all-in-one solution with 200% cooling performance and is up to 13 times quieter than the stock cooler. It boosts the cooling capacity up to 320 Watts at a fraction of the noise level.” To enhance thermal conductivity the pump utilises a cold plate made of copper, a very good conductor. The cooler kit also comes with high performance MX-4 thermal compound and RAM cooling fins. Both the Accelero Hybrid 7970 and standard Accelero Hybrid have 2 year warranties and an RRP of $179. A couple of weeks ago Tweak Town reviewed the earlier Accelero Hybrid solution, the Accelero Hybrid 7970 is more or less the same unit modified to fit a different family of graphics cards. 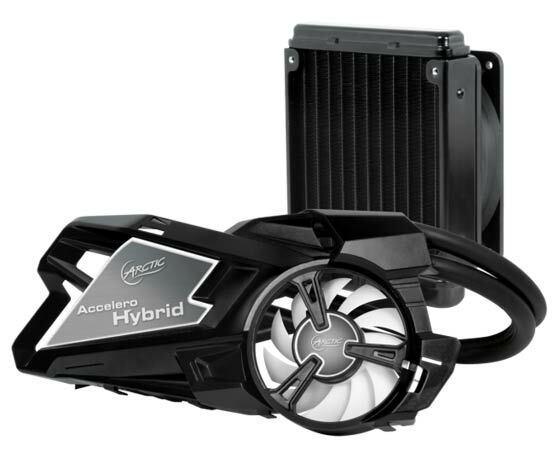 In the review the Accelero Hybrid cooler scored well at 86 per cent with good performance and quality construction but as you might guess the value for money was a bit of a problem. 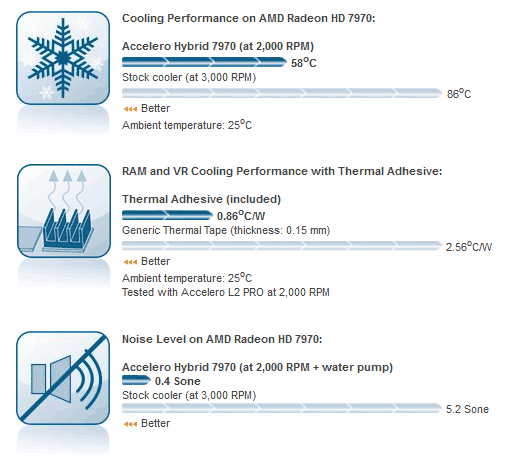 That verdict probably also applies to the Accelero Hybrid 7970 - nice but pricey. EKWB Vector Radeon VII water block launched Deepcool shares info about its patented anti-leak technology HEXUS Week In Review: ThinkPad X1 Extreme and more Epic prizes Day 24: Win one of three Arctic cooling bundles QOTW: Who makes the best CPU coolers? Its a nice piece of kit but its to focused on silence when its an enthusiast item with a price tag to match. I thik they should have included 2 more powerfull fans(instead of the 1 silent type) with reducer cables to cater for the ‘run in silence’ crowd.